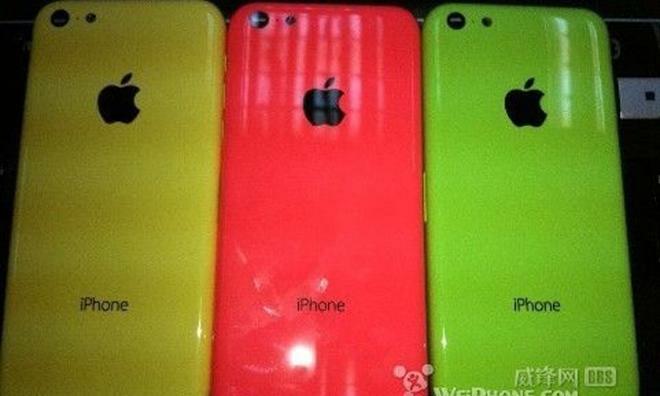 New pictures appear to show plastic back panels for Apple's anticipated low-cost iPhone, displayed in bright colors that are a major shift from the current black and white models. The image shared by Nowherelse.fr appears to show the back panels in yellow, green and red. 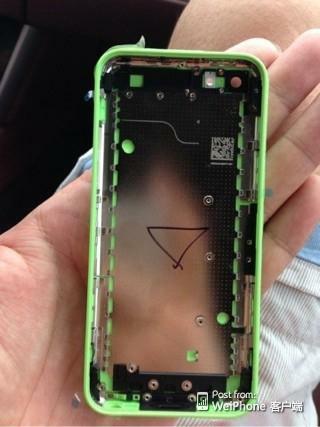 The parts include the iPhone brand, Apple's logo, and space for a camera lens, LED flash, and rear-facing microphone. Aside from being made of plastic and offering new colors, the parts appear to have a similar form factor to the current iPhone 5, including a taller display than previous models. 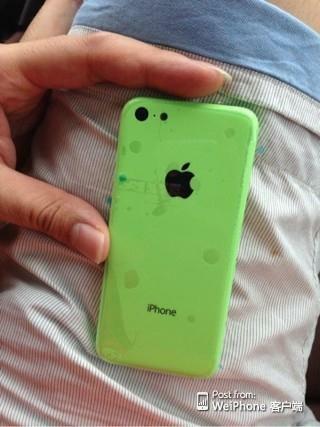 That fits in with rumors that the so-called "iPhone Lite" will stick with the same 4-inch display as the iPhone 5. The design also matches up with leaked schematics provided to AppleInsider that claim to reveal the design of Apple's low-cost iPhone. The device is expected to have rounded corners and a design slightly thicker than the iPhone 5. The red and yellow colors pictured would correspond with current color options for the iPod touch, though Apple does not offer a green model at the moment. Apple does offer green variants of the iPod nano and iPod shuffle, however. Other possible color options were detailed in a report in May that claimed the new low-end iPhone will come in navy, gold, orange, white, and gray.